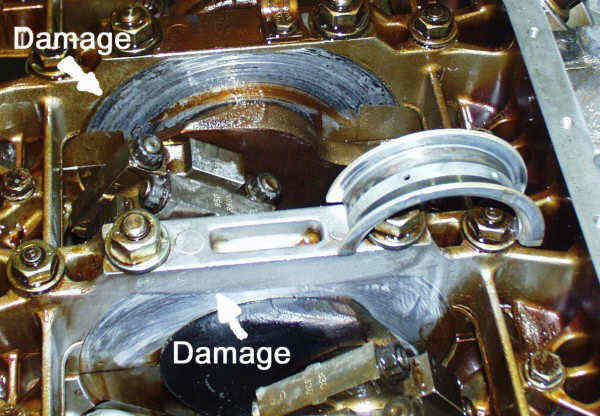 The Thrust Bearing Failure, also called TBF. 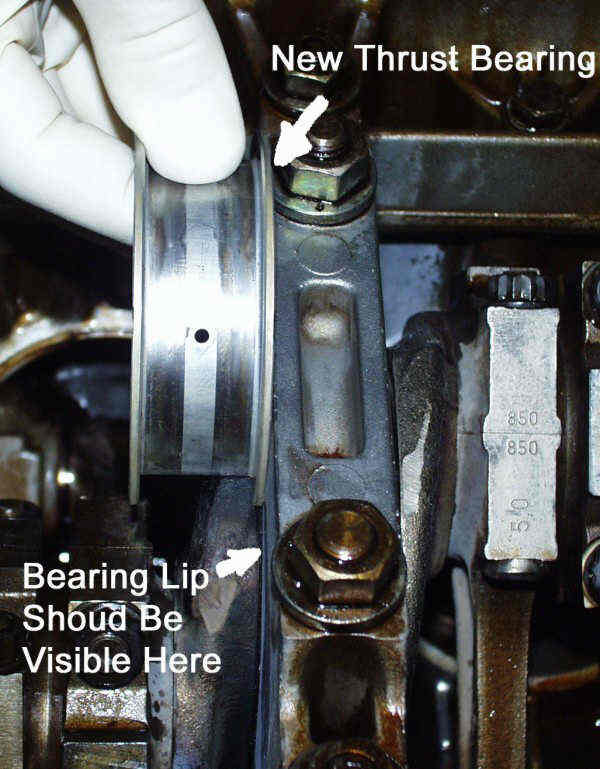 This article is all about the Thrust Bearing Failure. Its an extract of information provided on the internet and newsgroups and tends to deal with those issues and idea's that are said to be related or causing the problems. First of all: what is this all about? Well, the 928 engine has a crank-shaft. Pistons drive the crankshaft. In principal the pressure on the crankshaft in radial, acting in a 90 degrees angle on the crankshaft. Therefore the crankshaft has decent bearings to cope with the forces. In the center of the crankshaft the 928 engine has a thrust bearing. That bearing is a small one, dealing with the axial forces that exist when the engine runs. Basically it prevents the crankshaft from drifting away from the seating of the bearings. It keeps the crankshaft in place. Fine, so what is the problem? ok, for quite some time now there have been reports about Thrust Bearing failure causing a massive disaster in the engine, and leaving engines beyond repair. Porsche has had service claims for new engines that made them release a field bulletin to address the issue. So there IS no problem? growing of the Torque Tube under severe torque. After exchanging idea's this one is rejected. Its just not growing, and there is no evidence of longer Torque Tubes due to this stress. It just doesn't happen. shrinking of the Torque Tube under severe torque, causing the clamp to slip and leaving a permanent displacement of the clamp. This was described by John Holdsworth as "ratcheting". The Torque Tube shrinks due to twisting of the tube (which is actually a massive steel bar of 25mm diameter and 1370mm long). Compare a piece of rope twisted strongly. Its said that the TT can twist even 80 degrees but some say that is not true. Due to the shortening of the TT (twist) the flexplate bows towards the rear of the car, and at a certain point the force is so high that the clamp can not hold on the spline of the TT and the clamp slips a bit. When the pressure reduces, the TT reverts to its original shape, moving the flexplate back. But since the flexplate has moved a little, the TT pushes the flexplate beyond the original point of rest, leaving a preload. Its not been uncommon that a preload of 3 mm exists on the flexplate. By releasing the pressure (loosening the pinch bolt on the clamp) the pressure normalizes and all is ok. Unless the movement of the crankshaft has eaten into the Thrust Bearing, and play of the crankshaft has exceeded wear limit of 0,4mm. Funny thing is that this theory seems the most common, but its not been proven to depth. One other idea is that the Toque Converter swells under severe torque and creates a firm pressure on the flexplate. This moves the flexplate to its limits, and moves the TT into the direction of the engine, creating a force that the Thrust Bearing can not cope with. Now, both the TT shrinking as the TC swelling may be actually true. I fancy the TT shrinking option for now. Its still unsure which is causing the problem. Options 2 and 3 seem to compensate each other under severe load as the TT shrinks when the TC swells (LOL). There is serious doubt if only wrongly mounted trannies are responsible for the phenomena as Porsche stated. 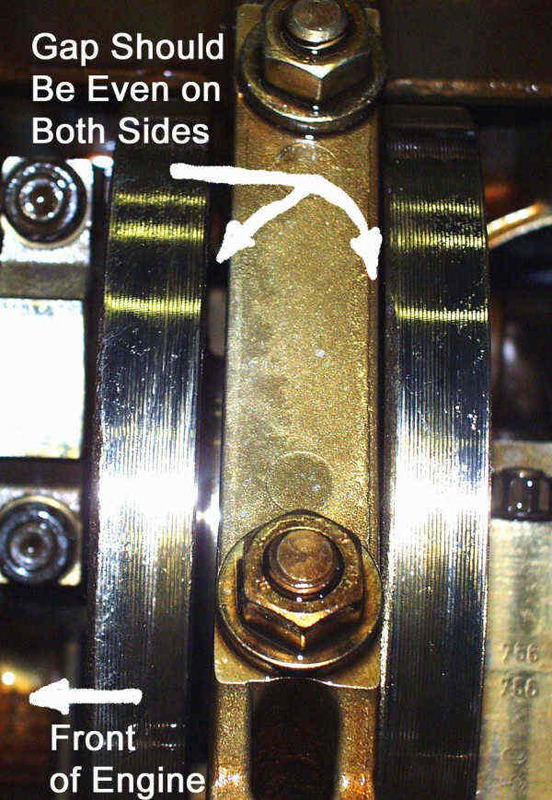 Some say use more torque on the pinch bolt to "over tighten" it but that has been tested (Constantine) with very poor results. Some use Loctite 290 on the splines, and let it cure. It prevents the clamp from moving, but also makes dismantling harder (heat required). One piece of sound advice: release the clamp every 30.000 km, make a small lamp that fits inside the hole in the bottom cover of the flexplate to inspect (inspection hole), and after putting the flexplate into rest-position: paint the shaft with red or white paint. That will show any movement easily without removing the exhaust and the cover plate, and make you decide if its necessary to open things up again. This end my little summary, hope it helps someone. Any comments, new facts or proof appreciated !